"After returning from vacation I pushed through the post office doors. Stood in line patiently. Once at the counter I requested my mail which was held till my return. The customer service rep. left and soon returned with a box two thirds full of mail. I stood there in shock, looking down at the volume of mail I had received in five days. I acknowledge the fact that its become extremely annoying daily to separate the unwanted mail, but never put any serious thought into it till now. I went home, and after 45 minutes of sorting the mail, I determined 95 percent was junk mail. My time is valuable, and looking at the time I spend annually sorting out the junk mail, I decided to research and determine a way to eliminate the junk mail madness. Telemarketers have been reduced by the no call list. There had to be a way. I have completed research and along with my staff have developed the necessary tools to accomplish the task. Its time to put an end to this ridiculous amount of waste of material and resources. Stop Junk Mail will assist you with the reduction of your unwanted junk mail. If you're already getting cabin fever with the cold weather ... here's a flowerpot project that has nothing to do with plants and everything to do with birds. Although it's not time for nesting, birds use bird houses to roost in for the winter also. With a little bit of remodeling, you can put out the welcome mat for wrens with this easy-to-build birdhouse project on Birds and Blooms website. Susan Vater created this birdhouse for her garden in Middleton, Wisconsin. Because the house is small, she says it's perfect for hanging in the thick vegetation that wrens prefer. Just in time for holiday shopping, Rite Aid’s Gift of Savings program lets customers earn $5, $10 or $20 certificates based on total purchases from $25 to more than $100. To receive their gift certificate, customers can pick up a brochure with mail-in form at any Rite Aid or go to www.riteaid.com and submit the information from qualifying receipts dated Nov. 16-Dec. 24. Using your leftover soymilk and tofu cartons was never this fun! The environmentally conscious can now recycle in a new, creative way with Bramble Berry Inc., a provider of the highest quality ingredients for making personalized soaps. When deciding what to add to your soap, think green! Herbs, oatmeal, coffee, spirulina, clay and charcoal each add a specific enhancement to the skin through their naturally occurring properties. With easy-to-follow recipes, Bramble Berry’s eco chic soap can transform even the most novice crafters into “green” mini-Marthas. 1. Prep your herbs and make sure they are the right size for gentle exfoliation. Sharp herbs may be too abrasive on the skin. 2. Cut the ‘melt and pour’ soap into 1 x 1" cubes. 3. Using your microwave, heat the soap in 30-second increments until the soap is fully melted. 5. Mix in your herbs or additives. Stir until the herbs seem mostly suspended. 6. Pour your scented and herb'ed soap into the make-shift mold. 7. Tip: Don't fill your make-shift soap mold all the way up. It helps for easy release to fill 85% of the way to the top and not the entire way. Wait for the soap to harden, pop or unwrap the soap out of the mold, wrap soap with saran wrap, label and enjoy the compliments you get. Buy supplies and get more great ideas here. Each year millions of people go into debt celebrating a holiday that loses its entire meaning in the process. Recently in our country the banks ran out of money. To avoid collapse, the government pumped liquidity back into the system for a short-term fix. But behind our country's financial crisis (and ours), a much more ominous crisis looms: we are running out of nature - fish, forests, fresh water, minerals, soil. What are we going to do when supplies of these vital resources run low? We have to consume less. It will take a massive mind shift. You can start the ball rolling by celebrating Buy Nothing Day on November 28th. I encourage you to celebrate Buy Nothing Day on the day after Thanksgiving. It's an international event. Do something with your family. Make a new tradition. Create some fond memories of time together, rather than a mad dash for the stores at the crack of dawn. We stopped 25 years ago and have never gone back. Many won't be with their families for the holidays. Those serving in the military for the safety of our country deserve a Thank You. Xerox is providing a way to let you do that FREE with a few clicks. Choose a card designed by children. It will go to some member of the armed services. It is FREE and it only takes a second. Click here. In these days when cold weather is upon us. It is important we find ways to cut our costs related to staying warm. 1. Lower you thermostat a few degrees and bundle up more indoors. 2. Set your water heater temperature to low, or about 120 degrees F.
3. Drain a quart of water from your water every 3 months to remove sediment. 4. Replace or wash furnace filters. 5. Put weather stripping or caulking around windows, and weather stripping around exterior doors. 6. Check for drafts around electrical outlets, ceiling fixtures and ducts, and insulate if necessary. Looking at this list, I was taken aback at #3. We have lived in our house for several years and I have never emptied the sediment out of the water heater. Guess I am overdue. Are you? When you stop and think about your past parties, you’ll realize how much the following article makes sense and will actually save you time, money, energy (yours and our natural resources), not to mention promoting a healthier life for people and the planet. The trend for the party is to simplify – even more now than ever. There are so many ways to make a big difference (while setting a good example for the kids and inspiring others). Here are 10 smart party tips that will also stir up some ideas of your own for a very fun & most impressive event from start to finish. Please tell every dog or cat owner you know. Forward this by email below. Over the weekend a doting owner of two young lab mixes purchased Cocoa Mulch from Target to use in their garden. They loved the way it smelled and it was advertised to keep cats away from their garden. Their dog Calypso decided that the mulch smelled good enough to eat and devoured a large helping. She vomited a few times which was typical when she eats something new but wasn't acting lethargic in any way. The next day, the owner woke up and took Calypso out for her morning walk. Half way through the walk, she had a seizure and died instantly. Although the mulch had NO warnings printed on the label, upon further investigation on the company's website, this product is HIGHLY toxic to dogs and cats. Cocoa Mulch, which is sold by Home Depot, Foreman's Garden Supply and other Garden supply stores, contains a lethal ingredient called 'Theobromine'. It is lethal to dogs and cats. It smells like chocolate and it really attracts dogs. They will ingest this stuff and die. Several deaths already occurred in the last 2-3 weeks. Just a word of caution, check what you are using in your gardens and be aware of what your gardeners are using in your gardens. Keep in mind that neighbors may have this type of mulch, so keep your pets on your own property and notify your neighbors and friends NOT to use this. In the United States today there are millions of people without health insurance. As the insurance companies want to make a higher and higher profit it keeps the majority of uninsured people from getting health insurance due to the costs. Many businesses have had to either drop the health insurance or make the deductibles in the range of $1000, $5,000 or even as high as $10,000 and place more of the cost on the employee. If you can place pre-tax money into a health savings account to help pay for your medical care this can help alleviate some of the strain of medical care. Many people do not understand how these medical savings accounts work. You have to estimate your medical care cost at the beginning on your “open season” at work which allows you to make changes to your benefits. What to be careful about is estimating too high as if you do not use everything by the end of the calendar year you lose this money. Another aspect to keep in mind with this type of plan is that the money is taken out of your paycheck each month where your employer has divided the total amount, you requested for payment for your medical bills, by the total number of paychecks you will receive in a year. You also have to usually have to pay for your co-pay/co-insurance or deductible first and you get reimbursed for the cost. This type of plan will lower your federal and state taxes based on your income. Does the average individual have other options? If you are in financial hardship, let your physician know personally, as the office staff may or may not have the ability to give you a discount after filling out paperwork to justify the hardship. Do not be embarrassed to ask for help, as many providers will work with you, if you ask. If you do not have health insurance or have a very high deductible and need medications, find out the name of the medication manufacturer from your pharmacy and look the company up online, as many of these companies have free or discount medication available. Ask all of your physicians for samples of medications. There are options that can help pay for medical care if you just ask for help. Content Submitted by czsissom on The Frugal Life Forums. I was wondering what some of your frugal tips are that you use in your everyday life. I use coupons, keep my receipts and when something goes on sale I take my receipt to get the sale price, keep all lights off when not in the room. Go on-line to get free items that I use and keep them when I go on vacation (personal items). Put all my change in a change jar, take my lunch to work. Use only half a cap of laundry detergent, use cold water to wash, etc,. I know these are just general frugal tips and have many more, but I was wondering what everyone else does to be frugal and your tips. Thank you. This forum post has 39 responses as of today. Read them and submit your own. Put the egg carton bottoms on the cookie sheet ... any extra wax will then go onto the cookie sheet and not on the counter. Stuff about 1/4 cup of wood shavings into each "egg." Melt the wax and pour it over the wood shavings. Let dry over night and the next day cut the egg cartons into individual "eggs." When you want to start a fire, just put one of the eggs at the bottom, add kindling and a couple of pieces of wood and start the egg/shavings on fire. It will burn for about 10-15 minutes and by that time the fire will go going very well. This is a good way to recycle old egg cartons, wood shavings and wax (old candles etc); and eliminates the need for paper when starting a wood fire. I melt the wax in an old tea kettle on top of the wood stove. Content Submitted by sunflower1948 on The Frugal Life Forums. We toss toxic gadgets left and right, often thinking they'll be recycled, but many times our e-waste is shipped off to other countries. The EPA does little to ensure the safe recycling of materials. Or, only a fraction of the device can actually be recycled and the rest ends up in a landfill. It's still ultimately up to us to keep a gadget for as long as it is possibly useful. And that means repairing it when needed. Thankfully, repair tips are endless and free advice is everywhere. Here's a site with videos on gadget repair. Not the end-all of instructions, but maybe it will inspire you to search online for more info on what you need to fix. A huge sense of accomplishment and confidence comes with fixing something you thought was over your head. Turns out - you can do it! So - save money, be green, fix it yourself. Here’s how. A new resource is available at the Ask Medicare website. Launched by the Centers for Medicare and Medicaid Services, the site includes information on navigating through Medicare, health care services, links to partner organizations that assist caregivers, and personal caregiver anecdotes. Visit now. Redbox (www.redbox.com) offers rentals through vending machines at some 8,000 locations across the country, often at supermarkets and stores. For as little as $1.00, you can rent movies. Netflix (www.netflix.com) costs as little as $5/month to view thousands of DVDs, movies and TV series, with free shipping to and from your home. How about entirely free at the easy-to-navigate website Hulu (www.hulu.com), you can view more than 165 movies and some 300 TV shows online from NBC Universal, Fox and cable channels that show TV classics. CBS and ABC also offer full-length episodes of their shows. Depending on your computer, you may be able to use a "TV out" cable to connect to your TV set for "big screen" viewing. ConsumerSearch.com offers more than 300 product reviews that consolidate and analyze comments from experts, such as Consumer Reports and Cnet.com, plus user comments posted on the Internet. Although the website receives some money from retailers, the reviews are independent. The most common items people want information on are mattresses, vacuum cleaners, TVs, coffeemakers and lawnmowers or snowblowers. About 10 new reports are added each month. Visit now. Besides all the common uses for empty bottles of many sizes, your medicine bottles are typically not recyclable, so check with your pharmacy to see if they're agreeable to reusing them. Some have found that non-chain pharmacies will reuse them, so carry some in your car when you stop to have a prescription refilled. 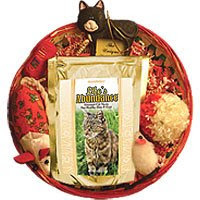 Our Life's Abundance website has some great gift baskets for dogs and cats. Tender bulbs that must be overwintered indoors are tough to keep organized. These include canna lilies, freesias, caladiums, gladioluses, dahlias and tuberous begonias. Keep track of what’s what by storing them in egg cartons, with each bulb identified on the top of the carton. The cartons have ventilation holes that prevent rot. Source: Birds and Blooms Garden Newsletter. Tens of millions of Americans don't have access to checking accounts or credit cards, which can make it difficult for them to cash their payroll or government-provided benefit checks, pay bills, withdraw cash and shop online or by phone. It also forces many to carry large amounts of cash and to utilize extremely expensive check-cashing services. An increasingly popular alternative known as prepaid cards has helped fill this void. Prepaid cards look and work much like debit cards, except that instead of drawing money from a checking or savings account balance, they are funded by money deposited into an account by cash, check, funds transfer or direct deposit by an employer or government entity. A vegetarian Thanksgiving sounds like an odd idea since it's often called, "Turkey Day," but you can have a nice banquet without the cost of all the meat. Here's a site with some ideas to keep your Thanksgiving meal frugal. Maybe you've got a vegetarian guest coming to a non-vegetarian celebration. Get some great tips here: When a Non-Vegetarian Cook Hosts a Vegetarian Guest. The Budget Fashionista’s website gives fashion tips and bargains for those who love to shop and enjoy being fashionable. I admit, I've been out of that league for a long time. Working at home allows me to be fashionable in my pj's. My idea of "dress up" is a casual pair of pants that has a button and zipper. My favorite wardrobe item is something that won't mind getting dirty while I play in the dirt in my garden, or sit on the ground to get a closer look at some insect or mushroom. David G. Mitchell knows he's not preaching to the choir when he strongly recommends that most people stop using cell phones. He observes that "I will not use a cell phone and you probably cannot be separated from yours." Yet, he makes a compelling argument in a pithy post at Saving Advice that provides five reasons to give up cell phones and save money. From: Not Made Of Money.com. Now that stores everywhere are starting to sparkle with Christmas merchandise, you may have found yourself going into a panic. How are you going to afford all of the things you want to do this Christmas? Maybe you’ve got your heart set on buying your children some really snazzy gifts. Or maybe you want to make the trek home to your parents’ house for Christmas. Whatever your holiday plans, you can almost bet that you will need some extra money to make them happen. Before your panic turns into a full meltdown, you should know that there are some simple ways to earn some extra cash in time for your holidays. Depending upon whether you have an abundance of time, talent, or stuff, you can turn your excess into money in no time. Sell your junk. Selling your unwanted items on eBay just gets easier and easier. Simply take a picture, type a short description, and click a few buttons and your product is out there for someone to find. Maybe there is someone, right now, looking for the old edition magazine that’s collecting dust in your closet. Do a little research by looking at similar items to help you decide the best way to list your treasures. Work at your favorite store. Almost all retailers need extra help on the holidays. Why not cash in on the time you spend in your favorite shop and earn a paycheck? You may even get the benefit of a bonus on your purchases there. Put your talents to good use. Bake breads and treats to sell at a local market. Knit tiny baby blankets to sell on eBay. You may even be able to help your neighbors by starting a Christmas light hanging service. Just look for ways to use the things your good at to benefit someone else. You can advertise online in a community bulletin board or by hanging flyers in your neighborhood. Become a salesperson. Do you enjoy going to Pampered Chef or Home Interiors parties? You can earn your own little stash for Christmas by becoming a salesperson. Start a little early (You don’t want to be trying to talk your friends into hosting parties during the holidays), and you’ll be able to build your own Christmas fund. Be sure to choose a company that allows you to minimize your initial investment, as well as finding a product that you really enjoy selling. Source: Visit for more great articles. What's the No. 1 way to tell that a credit-repair firm is not legitimate? It asks you to pay upfront for services that haven't been rendered, "Blunt Money" says. Another tip-off, she writes: No matter what they claim, "no one can remove accurate negative information from anyone's credit report." Unfortunately, many desperate people have responded to ads containing bogus claims, often paying hundreds or thousands of dollars to shady firms promising to improve their bad credit. As a result, the Federal Trade Commission and 22 states have launched a crackdown on unlawful practices, targeting 33 companies. Read the entire article. This is a national celebration set each year at November 15 to remind us that recycling and buying recycled goods is of utmost importance. Many events are scheduled throughout the nation on this day. In addition, many prizes are awarded to those who make a commitment to recycle or buy recycled products. Get more info at www.americarecyclesday.org. People enjoy being comfortable, and moving takes us out of our comfort zone. We leave behind old friends, a familiar school district, the restaurants we love, and the advisors we trust. It can take years to to find and build relationships with quality professionals like our doctor, accountant, contractor, financial planner, and attorney. Simply calling a random professional in the phone book can potentially turn out to be a disaster. So, what should you do? Take a look at a few things you can try for finding someone you can trust. It’s that getting to be that time again - time to fill up the highways, airports, and railways with people on their way to visit relatives for the holidays. We are taking Amtrak across country again and we booked our tickets about 4 months ago to make sure we got the dates we wanted and were able to reserve private bedrooms for the whole trip. But for those of you just starting to think about what you are going to do this year, there are a few ways to both save money and save yourself some headaches in the process. Read the entire article. On The Simple Dollar, a personal finance blog, I stumbled on an article, "18 Things a New Homeowner Should Do Immediately to Save Money." These tips can be used by current homeowners. I also realized that the very same tips that can help someone save money are also very green. In fact, out of the 18 tips, 16 are directly green. Maybe there are some you haven't done yet. See the list in the article. Recently, we have started juicing some carrots. To prepare the carrots I either wash them thoroughly or if they aren't in the best of shape I have peeled them completely. After juicing, I have found there is a lot of fiber that is left over. Being the frugal minded person that I am, I have sought a use for this fibrous material. I have buried the material next to some of our plants to improve the tilth of the soil and act as a food for the earthworms too. In fact, I have a friend that does vermicomposting (worm composting) and he feeds the material to them and they seem to love it. I wondered if eating it would be acceptable. Over hearing my thoughts, my wife reminded me that beet fiber is used in food products so carrot fiber should be usable too. I used it in my Vita-Mix to make a smoothie and found that it does work well and has virtually no taste. I have so much fiber that I have to split it up between several smoothies. However, that is no bother to me. I am just glad that I have found one more thing I can use instead of throwing it out. From The Budgeting Babe website. Should I reduce my 401k contribution while the economy tanks? I'm currently putting 10% of my salary into my 401k. Given how craptacular the stock market is doing right now, and that my fund is actually going down instead of up and hasn't made any money this year - has actually been steadily losing money - would it make sense to lower my contribution to 5% until the storm has passed? I mean, I won't be taking anything out that's already in the account but right now it seems like I'm literally throwing my money away. Read the answers to this question in the comment section of this post. When Wendy Postle’s two children were younger, saying “yes” gave her great joy. Yes to all those toys. The music lessons. The blowout birthday parties. But as her son and daughter approached adolescence, yes turned into a weary default. “Sometimes it was just easier to say, ‘O.K., whatever,’ than to have the battle of ‘no,’ ” said Mrs. Postle, a working mother who lives in Hilliard, Ohio, a middle-class suburb of Columbus. This year her husband’s 401(k) savings are evaporating. Medical bills are nipping at the couple’s heels. Gas prices are still taking a toll. Mrs. Postle recently decided that although she and her husband had always sacrificed their own luxuries for Zach, 13, and Kaitlyn, 15, the teenagers would now have to cut back as well. “No” could no longer be the starting gun of family fights. It would have to be an absolute. Read the entire article. To get a sense of the American economy, consider what’s in for summer: house parties instead of bar hopping, thrift stores instead of mall shopping, gardening instead of gourmet restaurants. Americans have spent the past year or so complaining about the rising price of everything from bread to gas, and bemoaning the ways in which it has changed their lifestyle. Now, as the reality of a down economy begins to sink in, experts say consumers are starting to embrace the simple life: staying close to home, cooking more, planting a garden and even delighting in bargain hunting. Some retailers, trying to make the best of the situation, have begun looking for ways to latch onto the trend as well. It turns out money can buy happiness. But there's a catch. You have to spend it on others. "We're significantly happier when spending prosocially" - on gifts or charity, says the University of British Columbia's Elizabeth Dunn, Ph. D., who led a survey of 600 Americans. The difference was seen at all income levels and even when volunteers were given five bucks and a random assignment to spend it either on themselves or on others. Plus, says Dunn, the good feeling lasts six to eight weeks longer than that glow from your vacation. Has saving money replaced America's devotion to shop till you drop? Silicon Valley Blogger at The Digerati Life has found lots of evidence that frugality is catching on across the nation. A chart of what's in and what's out -- posted at SFGate, the Web site of the San Francisco Chronicle -- says it best. Under "in" are such things as cooking at home and fixing the old car, as well as "library" and "tap water." The corresponding items under "out" are eating out, new car, bookstore and bottled water. With the economy in or headed toward a recession, more people are less inclined to spend every dime they make and then some. "The International Monetary Fund predicts that household consumption will fall further in the next couple of years and that a 'prolonged period of belt-tightening' has just begun," "SVB" writes. Read the entire article. As the Verrazano-Narrows Bridge faded in my rear view mirror last Thursday afternoon, I had only one thought in my head: Finally! I had woken up late, had spent way too long packing for this road trip and had been sitting in Brooklyn traffic. Typical. Now, however, my Volvo was zipping over what was once the world’s longest suspension bridge, heading west, and nothing could stop me. Nothing, that is, but the police officers at the toll plaza. “Don’t let him leave!” shouted a transit officer. Was my 1989 station wagon in violation of some obscure regulation? Had my paying the $9 toll with a crisp $100 bill set off some alert? No, the officer said: I had a video camera on the roof of my car, and filming New York City’s bridges and tunnels was illegal. I pulled off to the side and bit my nails while the officers talked among themselves, deciding my fate. Another delay, I sighed. Typical. Not that it really mattered. After all, I was about to spend the next 12 weeks driving cross-country, seeing the United States as the Frugal Traveler and writing about (as well as videotaping) my journey. Five more minutes couldn’t hurt. A Columbia University study found that teens having family dinners five or more times a week were 42 percent less likely to drink alcohol, 59 percent less likely to smoke cigarettes, and 66 percent less likely to try marijuana. The report comes from The National Center on Addiction and Substance Abuse at Columbia University. It's based on national phone survey of 1,000 teens and 829 parents of teens. I would say there are many obvious benefits for younger children also .. besides the health benefits for the adults too. Other benefits of family dinners. Shredded fall leaves are a wonderful inexpensive option in regions where decidious trees release bushels of the mulching material each autumn. They're an attractive, practical mulch. Your lawn mower is the perfect tool for chopping fall leaves. Once they are chopped, apply a thick layer as mulch over your flower beds. Editor's Note: We do this every year and it works great it also decomposes and improves the soil too. My question is, I have eye shadow, my eyelids are very dark and I wanted to know is there something I could safely use on my eyelids since the skin is very delicate around the eyes to help even up the skin tone? Post Your Answer or Read the Ideas. One of the problems with LP is that it's a derivative of oil, so that makes its cost tied to the cost of a barrel of oil, and that's not good. Electricity is normally generated by coal, nuclear, hydro and natural gas. That's what makes the price more stable. These are all things we have in the U.S. If you can, get natural gas instead of propane. It's price goes up and down, but it isn't nearly as expensive as LP, and no one has to refill you each year. The other thing to do is talk with people that have all electric service and those with both electric and propane service and see what their bills have been over the past year or so. Also note what kind of appliances they have and who their service provider is. Electricity has always been a good value, but heating is probably the least efficient use of electricity. Electric base board heating is probably a big energy hog and not very efficient. Forced air electric heat is probably more efficient, but not as efficient as natural gas. After you've made a good survey, then go with what the data is telling you. Also, before you buy a house, make certain it is very well insulated. No matter how efficient your energy system is, you'll be throwing money out the window and through the attic if you don't have lots of insulation. Visit Clair's Frugal Living Website. I used to buy Frontline for my dogs but I never liked using chemicals on them; then I heard about garlic and brewers yeast and decided to give it a try. I bought the brewers yeast with garlic that also had vitamins and nutrients and it worked fantastic. I have 4 American Eskimos and there is not a flea to be found, their fur has never been softer or shinier. They have more energy and all in all I have noticed a big change in them for the better. Only problem is you need to start it before "flea season" and don't stop. I ran out and didn't start again for a week and they started scratching and it took another 3 weeks to get flea free again. I use the tablets and just mix them, whole in their food. My youngest two love them. Content Submitted by Rylee on The Frugal Life Forums. Want to bankroll a small business overseas? At Kiva (www.kiva.org) it takes only a $25 microloan to finance the venture of your choice, be it a seamstress in the Dominican Republic or a baker In Afghanistan. Launched three years ago by Matt and Jessica Flannery, Kiva as of August had attracted more than 300,000 investors, who have fronted interest-free loans of about $38.5 million. The payback rate is above 98 percent, with most loans repaid within one year. And then you can lend the same $25 again! FEELING the pinch of a sagging economy? Then you're probably taking a hard look at monthly expenses, such as gym fees. But you don't have to give up exercise completely. Fitness can be low-cost, even free. Planet Fitness (www.planetfitness.com) has cardio and weight-training equipment but no classes. The fee: as little as $99 a year. Most International Health, Racquet and Sports club Association (IHRSA) clubs offer price reductions several times each year. You may also be eligible for group discounts through your work, school, or association memberships, so be sure to ask. Great sources for affordable exercise groups: the YMCA (www.ymca.net). which has reduced rates for those who qualify; a community center or house of worship; or your public pool. For cut-rate cardio, put your bike's rear wheel on a training stand and create a stationary bike. Recently on eBay, a used stand went for $43. A handy activity calculator at www.aarpfitness.com gives the calorie burn for a number of everyday tasks. If you're raking or digging, remember to switch sides to get an even workout. Have a friend who's a personal trainer? Think about what you can offer in exchange for working out together: anything from building a bookcase to catering a meal to doing your trainer's taxes. Troll Craigslist or the classifieds for bargains. Elastic bands add resistance without subtracting dough: they're less than $15 new. Get together with two friends and work out to a DVD If you each buy one, you'll have three different workouts to rotate. Miss the StairMaster at your old gym? Make like Rocky and climb real steps-at a normal pace, you'll burn about 400 calories an hour. While you may not walk quite as fast with a friend as you would by yourself, you're likely to walk farther. Some popular, frequently broadcast exercise shows: Sit and Be Fit, Wai Lana Yoga, and Classical Stretch: The Esmonde Technique. See www.locatetv.com for schedules in your area. • For centerpieces, create a garden of potted herbs or arrange apples, lemons and other fruits into topiary trees. • At weddings, instead of the popular bubbly, add wine or vodka to a sparkling soda with strawberries or blueberries. • Replace lavish bouquets with a single-longstemmed flower. • And skip the extra dessert: Let them eat cake! Shred junk mail and old papers that include your birth date, account numbers, signature, passwords. Social Security and PIN numbers - but don't shred your Social Security card. Destroy deposit slips and credit card receipts right after you get your monthly statement. Shred used airline tickets, old medical bills, pre-approved credit card applications, expired ID's such as driver's licenses and passports and canceled checks you don't need for tax purposes. Read the entire article at AARP. When you think about it, eggs themselves are a pretty frugal food. They are just about the cheapest form of natural protein available, and are the primary ingredient in nearly every made-from-scratch recipe. We go through a lot of eggs in our household–boiled eggs, scrambled eggs for breakfast (and occasionally, dinner), deviled eggs, etc. Instead of tossing the empty cartons I began hunting different ways we could reuse them. Read more ideas in the article. Over the course of a 30-year mortgage, you may end up paying more than twice the amount of your principal. The rest goes towards paying interest. That interest is money in the bank's pocket, not in your bank account. Prepaying your mortgage is paying extra principal, especially during the early years of your loan, meaning that your house will be paid off that much sooner, and you will pay less total interest over the life of the loan. It could put you that much closer to retirement. Read the entire article. Most economists agree we have not in fact suffered a recession, but for the rest of us the pinch is undeniable. There are plenty of tips out there for ways to save money in tough times. Since those are so well-covered, I decided to put together a short list of unique strategies to recession-proof your household–just in case. Is a Freezer Worth the Money? Will a freezer save me money in the long run? Is it better to buy new or used? Is a chest freezer better or an upright freezer? And what size freezer do I need? Any insight you could offer would be great! Do you have a freezer? Did you buy it new or used? If you had to buy a new freezer, would you get the same thing? I want to know all about freezers. A friend recently gave me a stack of books in excellent condition. The gift — a novel and two memoirs — came with a request. I was told to read the books and give them away. The books, our friend said, could also be "released" at a coffee shop, a public bench or some other location. Check out Frugal Living at About.com for the best places to sell items for cash. Books, Clothes, Furniture, Antiques and Collectibles, Sports Equipment, Electronics, CDs/DVDs/Video Games, Housewares, Appliances, Jewelry, and Musical Instruments. Be sure to check out the other articles with ways to make money. Frugal Living About.com. Plastic grocery bags can be used for all sorts of things, but what about those plastic sleeves that your newspaper comes in? Are they good for anything? Newspaper sleeves are the perfect tool for cleaning up doggie droppings. Just pull a sleeve over your hand; use it to pick up the droppings; then, grab the bag at it's opening; pull it back over your hand; and toss the whole thing. Protect the contents of your suitcase from shampoo and lotion spills by sliding the bottles into plastic newspaper sleeves, and tying the bags shut. Do the same with shoes, to protect your clothes from dirty soles. Have small things to sell at your next yard sale? Place them in newspaper sleeves, and you won't have to spend money on plastic, zipper bags. Slide your hands into two newspaper sleeves, and you have instant work gloves. Public education takes on new meaning at many area stores and community centers. From decorative painting to dance instruction, there are many free classes and events in our neighborhoods. What's more, public libraries offer free fitness, cultural and literary classes at neighborhood branches. Banks are closing or being taken over by the U.S. government, brokerages are getting massive multi-billion loans, insurers are going belly-up and the Dow Jones has been on quite a roller coaster ride lately. Images of soup kitchens, massive unemployment and doom and gloom come to mind as some wonder aloud if the U.S. is headed for another Great Depression. Even so, some people aren't worried. They aren't even nervous. I happen to be one of those people. If you took steps a year ago, or even six months ago, to get your financial house in order, you'll weather the storm just fine. You could even start sorting out your finances now, and you'll still be fine. It just takes calm, cool reasoning...and a game plan. With that in mind, Savvy Frugality presents the Economic Meltown Survival Guide. Please help me. My house stinks so badly. It is from my basement. I have added water to my drain, and it still stinks really badly. I have been burning candles to cover the smell up. I need to get rid of the smell. Is this harmful to my family? Please let me know. Read other responses and leave your own. Have you ever thought about making your own toilet bowl cleaner? I think a lot of us believe that we have to have strong chemicals to clean dirty items like toilet bowls. That's simply not true. You can make a great cleaner for your toilet bowl at home and with natural ingredients. Combine 2 tablespoons of baking soda with one tablespoon of olive oil and a teaspoon of your favorite scent (lemon always works for me). Throw this into your toilet and scrub away! It always gets my toilet clean. By making your own home cleaners, not only are you saving on our planet's resources and reducing the toxic chemicals in your immediate environment, but you're saving money, too! Read more about detoxing your bathroom. Your dryer checks in at number two (#2) on the list of household energy hogs (right after your fridge), according to the U.S. Department of Energy, and uses more than you might think. By cutting the dryer out of the equation and using the ample solar energy that falls to the earth every day, you can save some bucks, and prolong the life of your clothes, too. Get the full scoop in How to Go Green: Laundry. I just wanted to pass this along. Disney World and Disney Land are giving you free admission on your birthday for their 2009 promo! I verified it through the Disney website! Hi, I have a huge mirror stuck on the wall - with I don't know what - as there are no visible screws etc. Now this has developed a crack on one side and the crack line is growing slowly. Can someone suggest anything I can do to avoid the whole thing being cracked over a period of time? Post your answer or read the ideas. Getting your child to eat right doesn't have to be such a losing battle, however. Experts say parents, by working with their children, planning ahead and being creative, can get their kids to eat and enjoy healthy lunches. "You can't hit the person over the head with changes right off the bat," says Tosca Reno, author of the new book The Eat-Clean Diet for Family & Kids. "You've got to begin slowly. But kids are smart. Once they see how good they feel, they'll want more." If your child seems to have an aversion to all things healthy, you're not alone. There's no shortage of statistics showing just how much children in the U.S. struggle when it comes to eating right, as well as getting enough physical activity. Read the entire article. Fill a men's white cotton sock with two cups of white rice. Tie a knot in the top. Place in microwave for one minute. You now have made a flexible heat wrap. After several uses it will smell like popcorn...time to wash the sock and make a new one. I have also used smaller white cotton sock to make a heat wrap for children..heat for only 30 seconds. Good for ear aches, tummy aches etc. Decorate with magic marker.......they love them. Music, the universal language of mood, emotion and desire, connects with us through a wide variety of neural systems. Researchers have discovered evidence that music stimulates specific regions of the brain responsible for memory, language and motor control. They have located specific areas of mental activity linked to the emotional responses elicited by music. Now new research conclusions have identified how the affect of music could replicate the effects of hormone replacement therapy in the prevention of Alzheimer's disease and dementia. This new research is beginning to help those involved in cognitive rehabilitation. Music is now used with patients with stroke, schizophrenia, Huntington's, Alzheimer's and traumatic brain injury among others. Read the entire article. Fall is a great time to get outdoors and corn mazes are this season's delight. Corn seems to go with Autumn and good family fun. There are also other types of mazes besides corn, but you can find a corn maze through the Corn Maze Directory online. Here's another website with a corn maze directory. A couple years ago I scheduled a 'girl day' with friends and we went to The Garden Maze in the Shenandoah Valley in Luray, Virginia. It was great fun. They even had misters throughout the paths to keep you cool. It's amazing what you can do with one acre of land. We felt like we'd been hiking for miles but were so entertained time went quickly. Mazes create challenges with tricky loops and dead ends, so plan on laughing a lot. Take some water and a pocket snack and have a reward for the family member who gets to the end first.